Members of The Coalition of Veterans Organizations at the Chicago Memorial Day Parade, May 27, 2017. 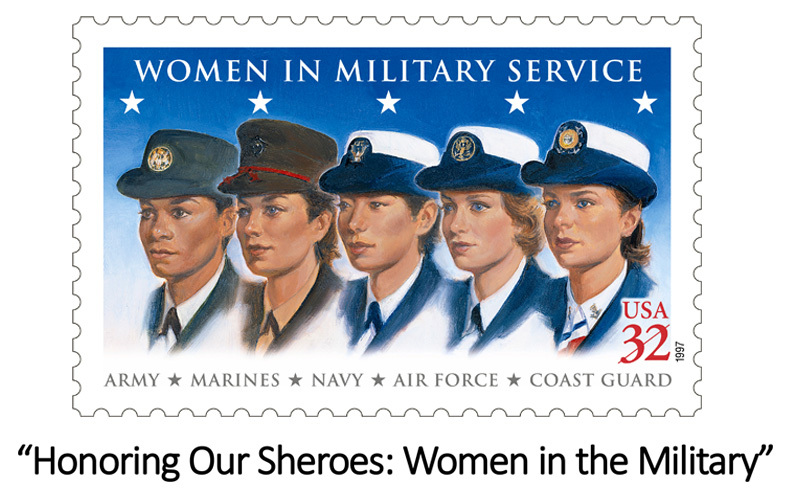 In honor of Women’s History Month, the West Towns (IL) Links Chapter will showcase the “Honoring Our Sheroes: Women in the Military” pilot initiative of the Central Area of The Links, Incorporated. 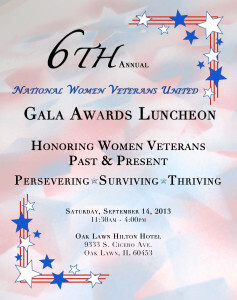 Join us as we recognize the noble women in the United States military. Learn more about their contributions and experiences and local efforts to assist women veterans from a live panel discussion. This event is FREE and open to the Public. 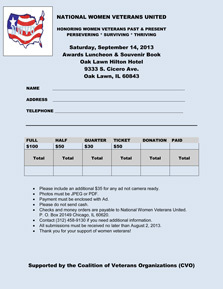 Join the National Women Veterans United (NWVU) for a Semi Formal Dinner Dance fund-raiser, in support of the IL Community Women Veteran’s Center. Music, food, fun, 50/50 raffles and camaraderie! 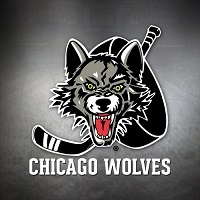 Individual ticket donations ($50) or take advantage of a $50 discount for a table of ten at $450.00. 6:30 P.M. – 12:00 A.M.
★ Purchase a Table for a $50 Discount! CVO at the Veterans Assistance Commission of Cook County Luncheon, on March 26, 2016. The Coalition of Veterans Organizations (CVO) will meet on this Saturday, February 21st, from 10 AM to 12:30 PM in the Prescription Conference Room of Jesse Brown VA (820 S Damen) on the second floor. Parking in the garage will be validated. 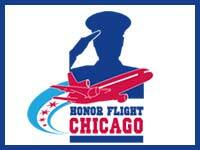 It’s Black History Month, so we’ll have a presentation by the 555th Parachute Infantry Association. They represent the first African American Paratroopers. We’ll have displays and a presentation. Be sure to be there! We’ll also hear from the City Treasurer, Kurt Summers. We’ll discuss the upcoming CVO Fundraiser on May 2nd, The NWVU Gala and the VACCC Corned Beef Dinner, both on March 21st and CVO nominations at the March meeting. We’ll collect dues, and hear from our committees. As always, coffee and donuts will be served. ADs for Souvenir Book Available (Submission Deadline August 26). 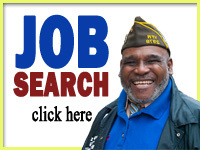 Call: (312) 458-9130 To get your AD in Before Deadline.